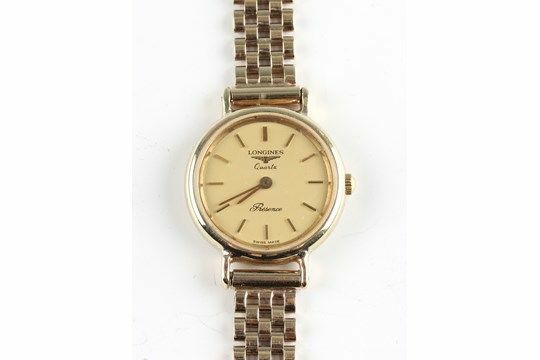 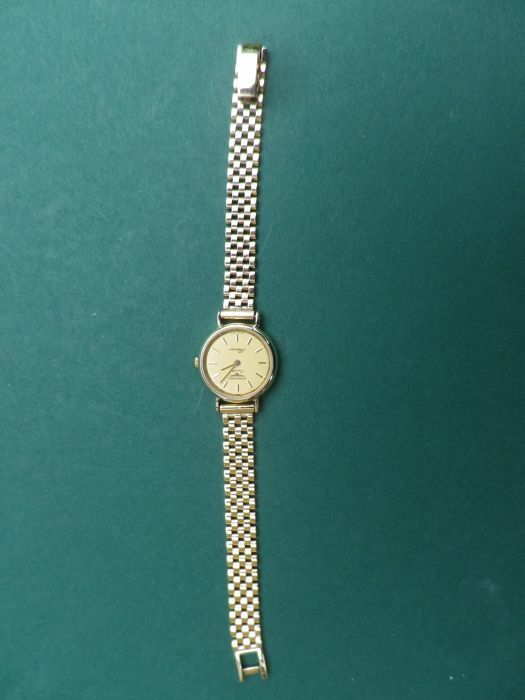 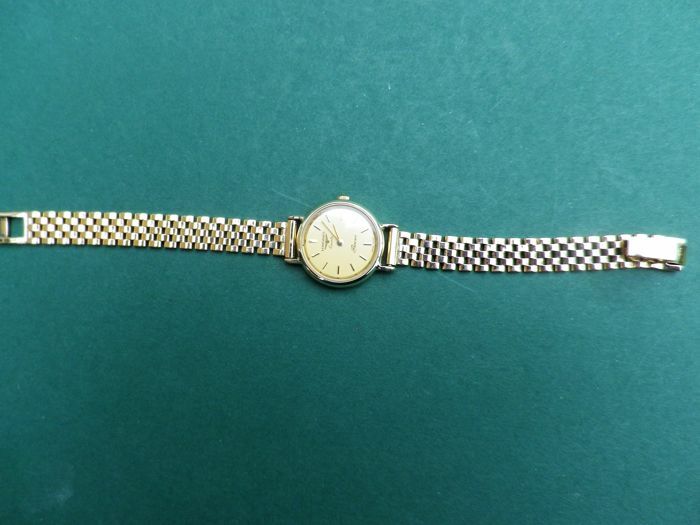 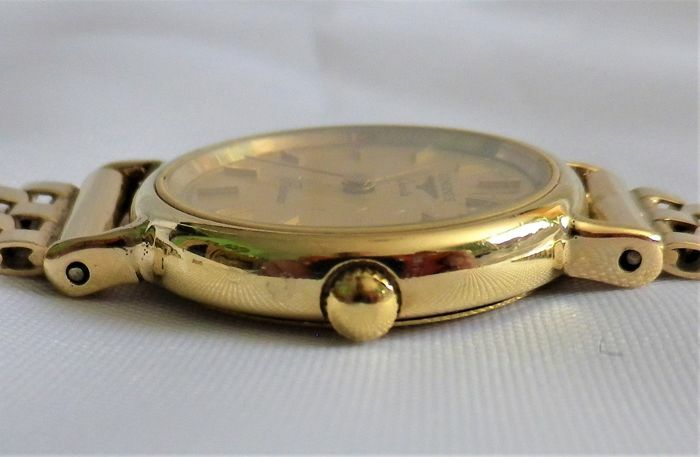 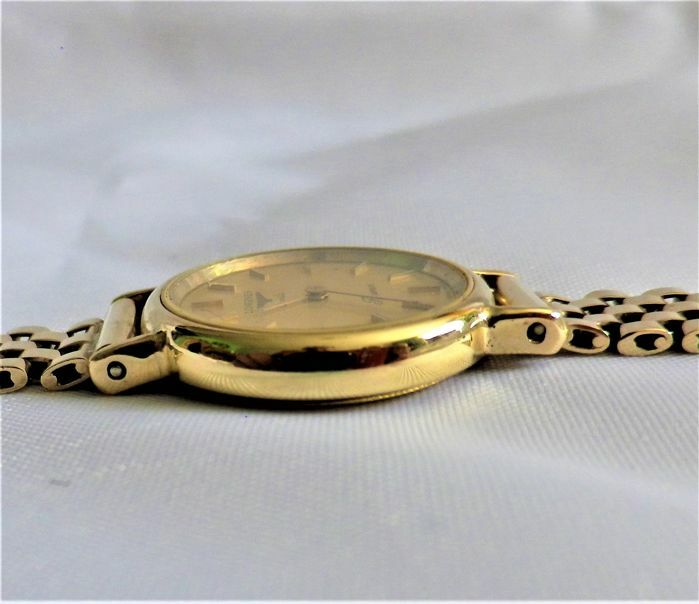 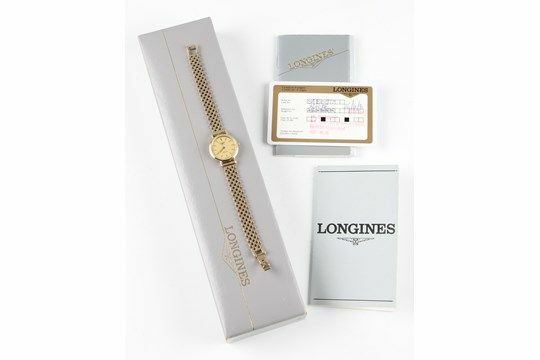 A ladies Longines Presence quartz wrist watch, the gold tone dial having hourly baton markers, reverse case stamped 9K 375, numbered 24.677.830, on a 9ct yellow gold mesh link bracelet strap, hallmarked London 2006, All around wrist length: 20cm. 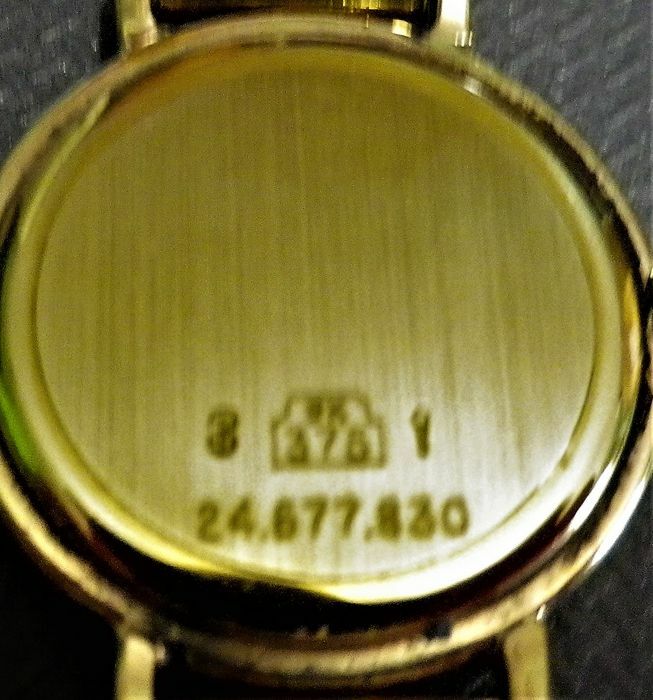 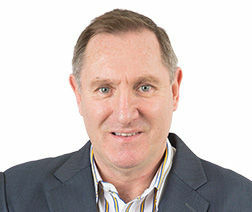 Weight: 21 gms. 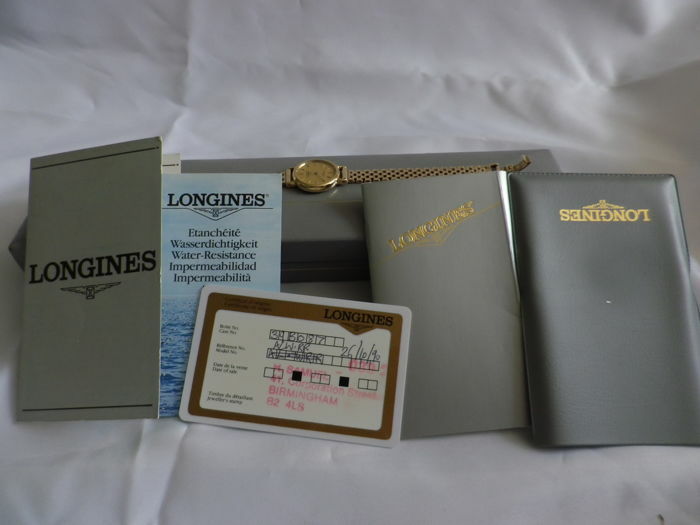 Comes in original case with paperwork documentation.